OPINION — A while back I started getting daily emails from the Bangor Daily News, for some reason. Someone evidently decided I needed to know what was going on in and around Maine’s capital city, I guess. And before I get three or four angry emails telling me Bangor’s not the capital of Maine, let me point out that I don’t care. At first I thought about deleting the emails and trying to unsubscribe, but after glancing at a few of the headlines I changed my mind. Like all small town newspapers, Bangor Daily News offers a window into the lives of the people who live there, and the headlines told me that the people who live in and around Bangor were liable to be good for a column now and then. Plus, Bangor is so far away that the people I irritate probably won’t come after me. And they’re frozen half the year, anyway. There is, however, some excitement in Maine, at times. A goose, named Emmet, got separated from his flock recently, and went over a waterfall on the Stroudwater River near Portland. Emmet couldn’t figure out how to go around the falls to get back to the flock, and the rest of the geese were evidently reluctant to brave the falls to join Emmet. Bummer. Every day for a month the flock would come to the top of the waterfall and honk down at Emmet, and he would honk up at them in ‘desperation.’ These were domestic, feral geese, and can’t fly, and the falls are created by a 16-foot dam. Locals described the situation as ‘traumatic’ and ‘distressing.’ Mainers don’t get out much, I guess. A local fellow finally managed to coax Emmet back around to the flock by land. They went through some backyards and past a yoga studio and an ice cream shop. So the story has a happy ending. Except that, the very next day, another goose from the flock went over the falls. You just never know, with geese. 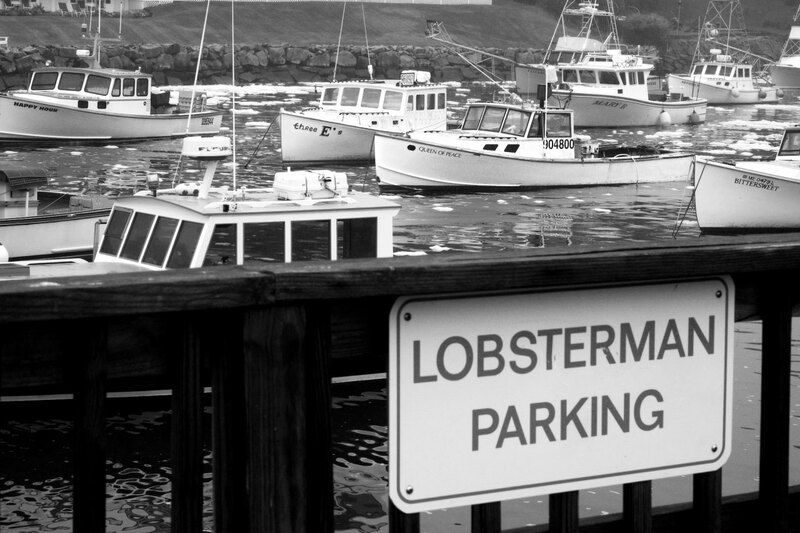 The big news in Maine, though, is the Lobster War. Lobster fishing is a big industry in Maine, and the most lucrative fishery up there is the Gulf of Maine, which forms part of the border between Maine and New Brunswick, Canada. The annual lobster take has increased during the past few decades, from $60 million in 1988 to over $500 million in 2016, so we’re not talking peanuts, here. Plus the lobsters have shifted in a generally northern direction, and the Maine lobstermen have moved with them. No surprise there, but the Canadians have noticed. But lobster is a Big Deal, inasmuch as people will pay north of thirty bucks to eat one in a restaurant, for some reason. Which is a major downer for the animal rights bunch, since most restaurants boil lobsters alive. I have to admit it sounds like a really mean thing to do, and I don’t even like lobsters. Switzerland has actually banned the practice of boiling lobsters alive, so there’s that. 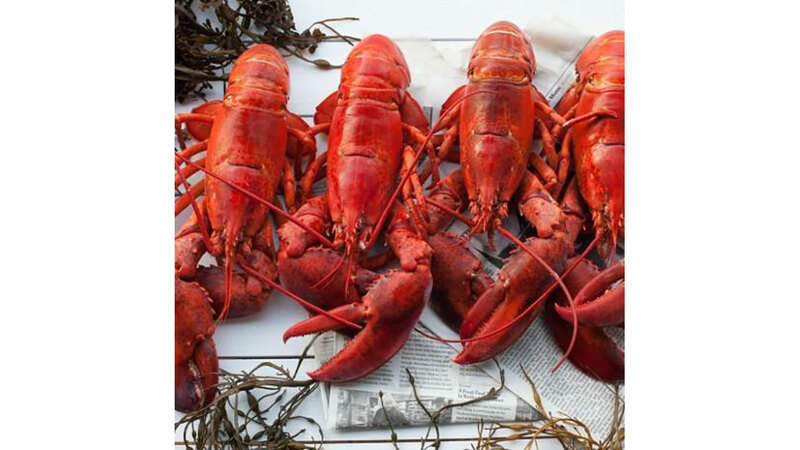 One Maine restaurant has decided to do something to make cooking lobsters more humane, according to Bangor Daily News. Charlotte’s Legendary Lobster Pound, in Seawall, Maine, has started blowing marijuana smoke into a plastic box with the lobster inside before it goes into the cooking pot. Really. Charlotte Gill, who owns the place, tried it with a lobster named Roscoe. Really. She blew pot smoke into Roscoe’s box for three weeks, and said he ‘appeared to be more relaxed.’ I’m sure Charlotte was relaxed. Robert Bayer, who teaches at the University of Maine, and used to be the director of their Lobster Institute (a real thing), said the smoke ‘might be toxic.’ He said, “Nobody knows what’s really going on. Their nervous system is pretty primitive. They probably don’t have the ability to process pain.” Maybe Charlotte just can’t find anyone else willing to share a joint with her. All I know is that High Lobsters would make a great name for a rock band . . . Thanks very much. I look forward to not hearing from you again. Esp for a sense of humour that doesn't involve sneering at others. Hope you find it. You accuse me of sneering. You accuse me of sneering. Your accusation is unfounded.